We're Hiring! Check it out! Thanks to modern technology, an attractive website that converts prospects to customers is within reach of nearly every business. 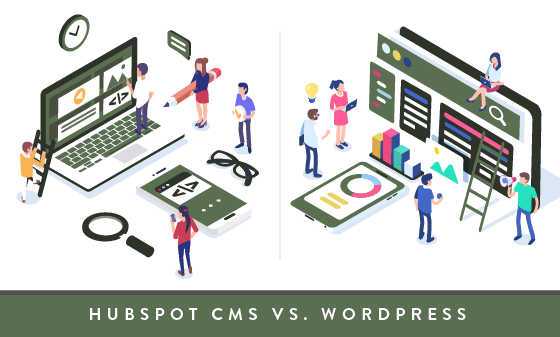 Two software tools are ideal for creating high-performing websites: The HubSpot CMS (content management system) and the WordPress platform. These tools enable your website to be found in online searches, easily viewed on mobile devices, structured for optimal ease of use, and designed using professional templates that reflect your brand’s value. Both tools have varying strengths and drawbacks, so we’ve made this guide to help you decide which option is best for your business. What’s the Difference Between HubSpot COS and HubSpot CMS? If you came to this web page looking for information on HubSpot’s COS and are confused by all the talk about HubSpot’s CMS, don’t fret! 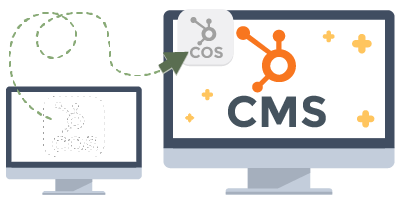 HubSpot relaunched its long-standing content optimization system (COS) as a content management system (CMS) in September 2018. This all-in-one solution brings the best of HubSpot COS's inbound marketing features into an easy to use web design experience via drag-and-drop modules. Practically, all this means is that the product you’re familiar with got even better. You can read more about the specifics of the relaunch on Hubspot’s website. Whether prospects are searching online for your products and services or they find your site via a referral from a friend or colleague, your website needs to attract the right prospects and convert them to customers. Your message must resonate with the right people (those who have a problem you can solve and who have the budget to pay) and lead them to take action. If your website is difficult to navigate, doesn’t look professional, or doesn’t communicate clearly, you’ll lose excellent prospects who may have otherwise become customers. Your website should be your best salesperson. If it’s not doing its job well, it’s time for a new one. Once your site is built on the HubSpot CMS or on WordPress, you’ll be able to easily add or delete pages, update page content, add or delete images, and make other changes. If you can use Microsoft Word, you’ll be able to easily use HubSpot or WordPress's interface to make simple changes to your site on an ongoing basis. Having this ability will allow you to keep your site current and also save money since you won’t need to hire a developer for simple changes. So, which should you choose: HubSpot or WordPress? There are pros and cons to each of these CMS platforms. Which one is best for you will depend on your individual needs and preferences. Let’s take a look at what you should consider. 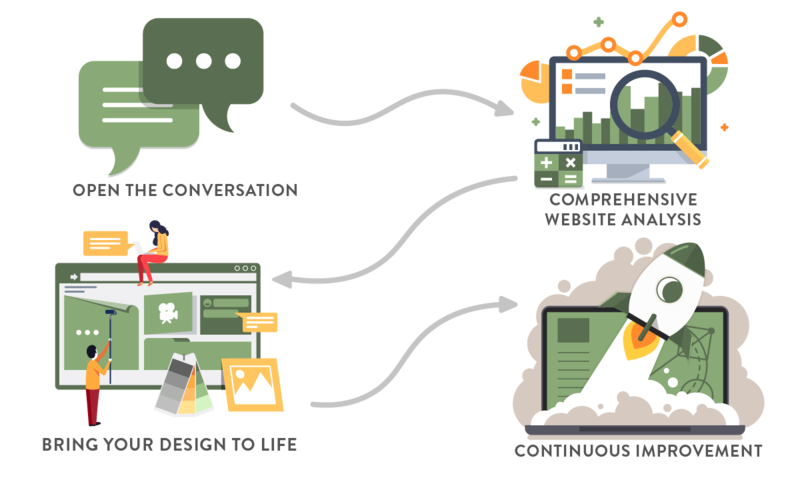 HubSpot is a CMS that goes beyond content management. 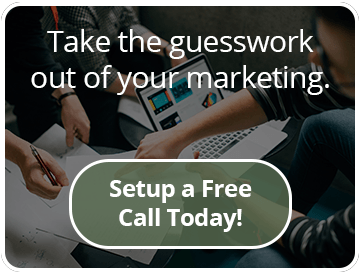 It allows you to create website pages, landing pages, blog posts, calls-to-action (CTAs), forms, social media posts and marketing emails, all within one easy-to-use system. HubSpot also offers reporting tools that allow you to track the performance of your website content. HubSpot also makes it easy to optimize your content. You'll be able to ensure your content is on track with your Search Engine Optimization (SEO) strategy and incorporate trackable CTAs to follow up with interested prospects. With professionally-built templates, your website will have all the features that Google is looking for as well — including fast load times and mobile-friendly design (thanks to HubSpot's world-class Content Delivery Network). This means that not only will your content look good, it'll have a better chance at climbing up search rankings as well. And the HubSpot platform is also highly secure. It comes with SSL. You can also create personalized content for various types of prospects. By dynamically tailoring your content and giving prospects a personalized experience that's most relevant to their interests, you'll increase your conversion rates and level-up your customer experience. The downsides of the HubSpot CMS lie in cost and coding limitations. If you want all the features of marketing automation that HubSpot offers, the cost can exceed what a small company may be able to afford. Another downside is that there’s no server-side code, so large enterprises may be frustrated with the limitations. WordPress is an open-source software that’s been around since 2003. It’s almost infinitely flexible as a result. WordPress is free to use, so you won’t have ongoing costs above hosting and website management. The code is fully customizable, so you can do just about anything you want to with a site built on WordPress. It’s also incredibly easy to operate. A WordPress site’s quality depends on the templates and plugins that you use to build it. We fully vet the foundational templates and plugins that we use so the sites we build perform well and are secure, in most cases we develop templates from scratch and hard code functionality instead of using plugins to reduce any security risks. When looking for maximum control and flexibility, many people choose WordPress as their solution. You get to decide your hosting solution, security options, premium plugins and enjoy the commonality of the open source platform that has become the most widely used CMS in the world. That said, WordPress does have its downsides. While you can build a marketing platform with WordPress by integrating email marketing tools, analytics tools, and additional software, integrations are sometimes clunky. Unlike with HubSpot, you’ll spend extra time switching back and forth between programs. Getting a full picture of your marketing performance may be difficult with the siloed functionality. Want a side-by-side breakdown of the differences between HubSpot CMS and Wordpress? We highly recommend checking out this detailed comparison for more information. Regardless of the CMS that you decide to use for your business, content creation needs to be at the core of your website strategy. Having a site set up that allows for content staging, effective SEO planning, optimization of web pages for mobile devices, project management and that enables your business to make data-driven decisions are features that businesses must prioritize. In addition to these key content features, it’s important to pick a CMS that will allow for smart content planning. Smart content is personalized page content, or entire web pages that are developed based on anonymous or known attributes of your visitors. Utilizing this data, you can develop and implement a personalized, unique and relevant experience to each group of visitor. The ability to create highly contextual content like this represents a new frontier of opportunity for businesses. Lastly, it is important to pick a CMS that has a detailed, easy to understand reporting and metrics component. Having clear reporting and metrics allows you to make better decisions about the kinds of content that your business will need to produce, and give you a good sense of what works and what doesn’t in your ultimate goal of converting site visitors to customers. For these reasons, we tend to recommend using the HubSpot CMS whenever a business is open to it. When you have the ability to see a prospect visit your site, have them convert on the landing page (using a form you created! ), and then see all the pages they’ve visited; and even set up notifications when they return to your site— it’s a salesperson’s dream. All of this data ends up displayed in a contact record, meaning you’re looking at a specific person with a name and an email, who took specific actions on your website. The HubSpot CMS allows people to have access to premium marketing tools baked into a complete platform built with speed, security, and reliability at the core. We know how easily website development projects can go off the rails. We’ve created a tested system that streamlines the process, ensures you’re kept up-to-date on progress, and results in a site you’re confident in. Before we start development, we’ll discuss your website redesign goals and be sure that we have a clear understanding of what you hope to accomplish. We’ll clearly define the scope of your website design project and outline the “must-haves” for your project. Website & Analytics Audit – We’ll gain an understanding of your existing website’s assets and areas for improvement. We’ll run through a checklist to identify SEO concerns and other areas that will be vital to the journey of your user. Messaging Framework Research & Development – We’ll work with you to develop a powerful messaging framework that tells a compelling story about your potential customers and how your business is going to help them achieve success. Read this to find out more about why we ditched Buyer Personas, went all in on Message Frameworks and transformed our business for the better. Fundamental Assumptions – We’ll brainstorm key assumptions regarding how your potential customers engage with your website and brand and what issues they may be having. We’ll ensure that we’re creating the best user experience possible when redesigning your website. Brand Identity & Messaging – We’ll collaborate to create a clear brand message that will help build trust with your potential customers and let them know they’re in the right place to have their problems solved. Site Design – Mockups of your website that display the design elements that will improve your potential customer’s journey and conversions. Content Creation – Your website will only be successful if it has great content. Our team will work with you to create persuasive copy to guide your potential customers on the website, making sure to steer them toward conversion points along their journey. Quality Assurance – Your website will launch without any bugs. Our quality assurance testing includes cross-browser testing and mobile device testing to ensure your potential customers have a flawless experience. Post Launch Support – Rest assured we are only an email or phone call away. We don’t anticipate your website having any problems, but if it does, we support all our sites post launch to ensure a seamless transition to your team. Plan – By reviewing real user data from your new website, we’ll make updates to improve the journey of your potential customers to improve their experience even more. Build – Your team will be able to add the planned updates to your new website, and once these updates have been made, you’ll see the efficacy of the updates and how they are impacting your potential customers’ experiences. Learn – Once updates have been implemented, we’ll start gathering data again. This information gives insight into what helps your potential customers make more educated decisions, leading to more conversions. Transfer – Transferring the data we uncover from the cycle and documenting that data is critical to the cycle of constantly improving your website. We don’t want to repeat any activity that isn’t beneficial to your customers and business. 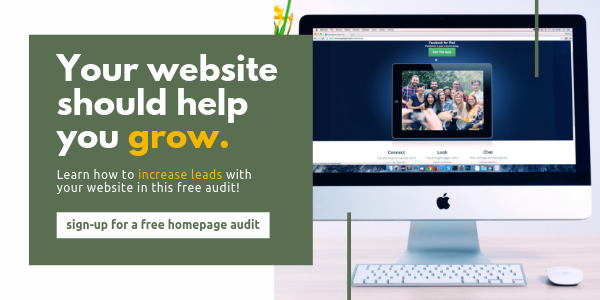 A strong, high-performing website works 24/7 to deliver quality leads to your business — for a small fraction of the cost of a salesperson’s salary. With a HubSpot or WordPress site that’s optimized for search and conversions, you’ll enjoy a steady stream of prospects who are interested in your products and services. For more information about our website development process, reach out for a free, no pressure Q&A session. Want to learn more about creating a high-performing website that works for your business 24/7? Want to learn more how inbound marketing can help you're business? Copyright © 2019 Lone Fir Consulting. All Rights Reserved.